When I first came across the track, "Amber" it hit me straight in the feelers and instantly I sunk into it. It was one of those moments where everything felt exactly right, all thanks to re:tract's gorgeous work. Based in Manchester, re:tract (Matt Gill) is creating boundless music that has an enormous amount of depth and emotions. The multi-instrumentalist and producer carves out his own unique style and sound with a glimpse of a downtempo and trip hip influence here and there. 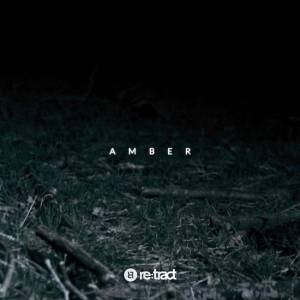 Maybe it's the overwhelmingly beautiful horns in the background or the fine tuned vocal samples, but "Amber" has gone straight to the top of my favorite finds of 2018. The amount of detail that can be found throughout this song is breathtaking and whether he meant to or not, I've now become a fan girl of his work and hope to see him perform live in the near future.